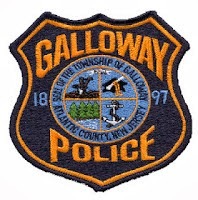 The Galloway Police Department responded to three (3) reported structure fires/smell of smoke. The cause of the two fires on 1st Avenue appears to be from lightning strikes. The cause of the 3rd fire is accidental (pot left on stove). All five companies from Galloway Township responded and were assisted by Egg Harbor Twp., Port Republic and Atlantic City Airport Fire Personnel. Medical personnel from all over Atlantic County responded to assist as well. No person(s) were injured as a result of any of the fire calls. 1st Avenue was shut down for several hours as a result of the two (2) fires on that street. South Jersey Gas, Atlantic City Electric and NJ American Water company personnel responded to 1st Avenue to assess the conditions. What a crazy week. 3 Structure Fires in 2 days on this side of the parkway (if you include 2nd ave on Tuesday). Glad the Pomona FF was ok from Tuesday and nobody was seriously injured. Nice job by all of Galloway's bravest!